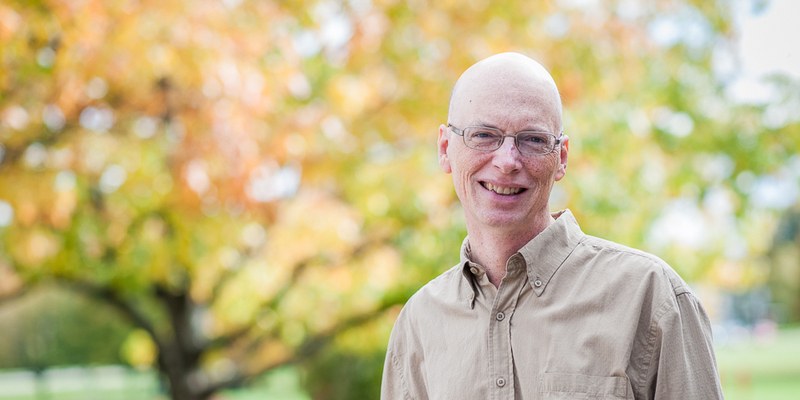 David Wees' research interests include horticulture, greenhouses, sweet potatoes, and urban agriculture. David Wees teaches courses in the Department of Plant Science and the Farm Management and Technology Program: Greenhouse Management, Urban Horticulture, Vegetable and Fruit Crops, Introduction to Plant Science, Landscape Design and others. He is responsible for a science outreach program called “You are what you eat” (see outreach activities below). Plant Science: Selection, use and care of plants in urban environments for the benefit of urban populations: landscape design, turf and green space management, urban trees, green roofs and walls, design and management of community gardens, urban agriculture. Plant Science: The production of major flower and vegetable crops in greenhouses. Includes greenhouse design, heating, ventilation, lighting, hydroponics, irrigation, fertilization, scheduling and integrated pest management. Wees, D., Seguin, P., and Boisclair, J. 2016. Sweet potato production in a short-season area utilizing black plastic mulch: effects of cultivar, in-row plant spacing, and harvest date on yield parameters. Canadian Journal of Plant Science 96(1): 139-147. Wees, D. 2016. The greenhouse handbook, 7th edition. Macdonald Campus of McGill University, 338 pages. Wees, D., Seguin, P., Boisclair, J., and Gendre, C. 2015. Performance and quality of sweetpotato cultivars grown in Quebec, Canada with biodegradable plastic mulch. HortTechnology 25(6): 815-823. Wees, D., 2015. Carences minérales des fines herbes - Identification, prévention et solutions. Centre de référence en agriculture et agroalimentaire du Québec (CRAAQ), 43 pages. D. Wees. 2015. Urban horticulture handbook. Macdonald Campus of McGill University. D. Wees. 2013. Mint. The Canadian Encyclopedia. D. Wees. 2012. McGill feeding McGill : Agriculture urbaine à l’Université McGill. Colloque sur l’agriculture urbaine à Montréal, Palais des Congrès, 17 mai 2012. Wees, D. and K.A. Stewart. 2011. Quality of organic and conventional greenhouse cucumbers and tomatoes. Acta Horticulturae 893:1209-1214.